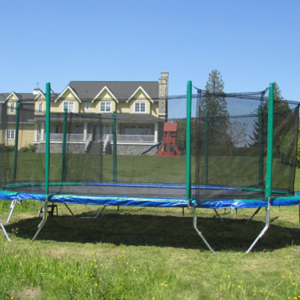 The Gold Enclosure System (8-Pole Design) is the most popular and best quality trampoline enclosure on the market. 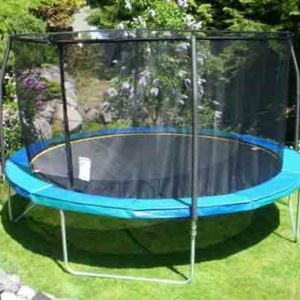 Does not reduce performance or affect the Bounce. 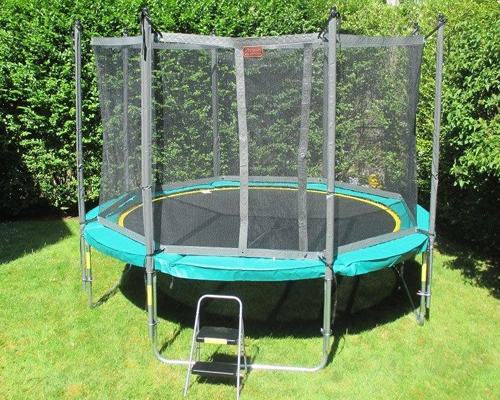 Size: Fits our 12ft & 14ft Round Trampolines: Gold, Silver & Bronze. Frames: Consists of 8 galvanized steel vertical poles. Foam padded and vinyl covered. 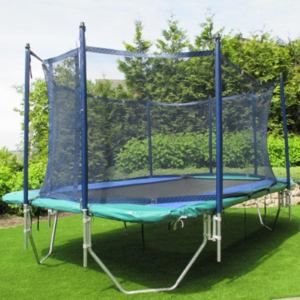 Netting: Fun & safe without restricting the performance. 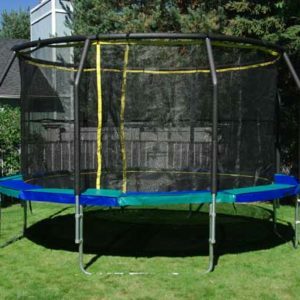 Eliminates roping the netting to the jump mat. Assembly: Simple fast and easy 45 minute assembly.